Hello and welcome to the newest My Favorite Things colour challenge. 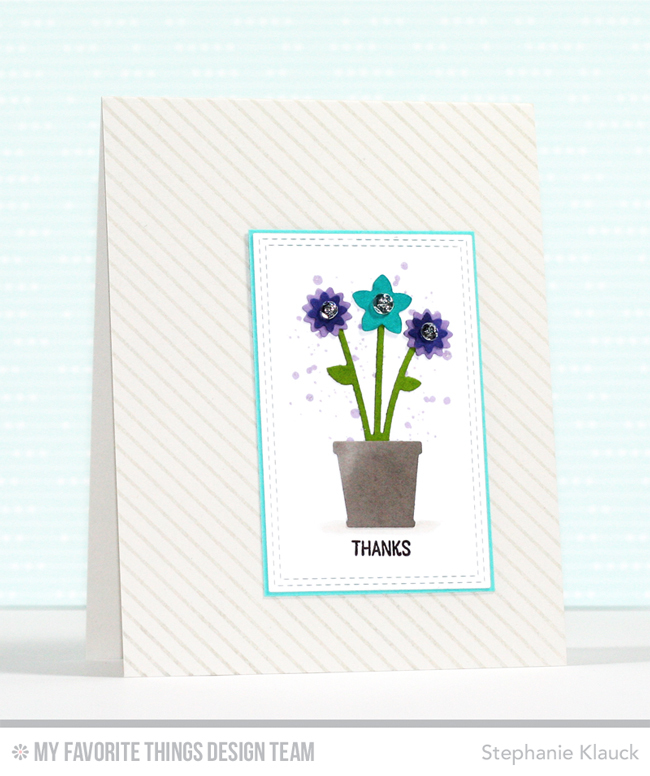 This week we're using a couple of shades of purple, mixed with aqua and green in our card designs. I kept things somewhat simple on my card and created a rectangle focal point on the bottom right corner of the card front. 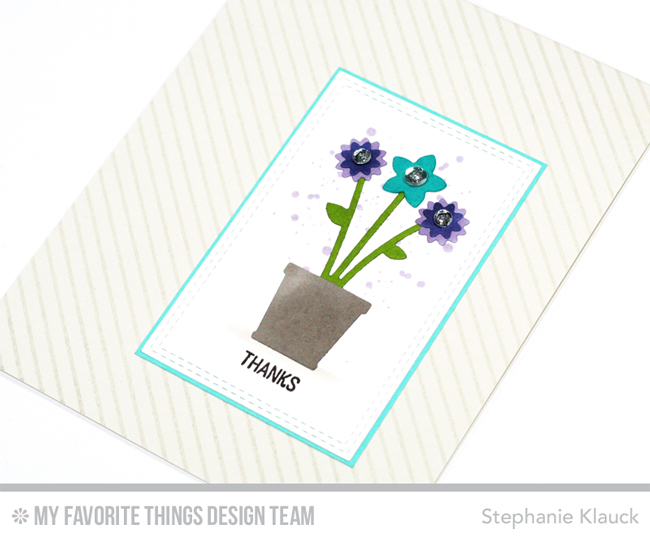 I used the Spring Garden die-namics set to create a flower pot using all 4 of this week's colours. I also stamped some dot detail behind the flower using the lightest purple and then matted the panel onto an aqua cardstock mat. I stamped a simple sentiment underneath the design and I added some sequins to the flower centers for a bit of detail and dimension. Before adhering the panel to my card front, I stamped a diagonal stripe pattern on the Grout Gray card base with Versamark ink so it wouldn't look so plain behind the flower.